My February Golden Tote finally arrived today. I was nervous and excited to see what I would get. I had been looking at what others received and I liked the surprise items in the $49 tote better than the $149 tote, which was kind of disappointing. I ordered the $149 tote in hopes of getting the navy swing dress Golden Tote released in a spoiler email. With the $149 tote, you choose 2 items and get 4-5 extra surprise items included in your tote. And now there are so many trading forums to trade the items you don't end up liking or that don't fit, for items you love, so you really can't go wrong with this value. 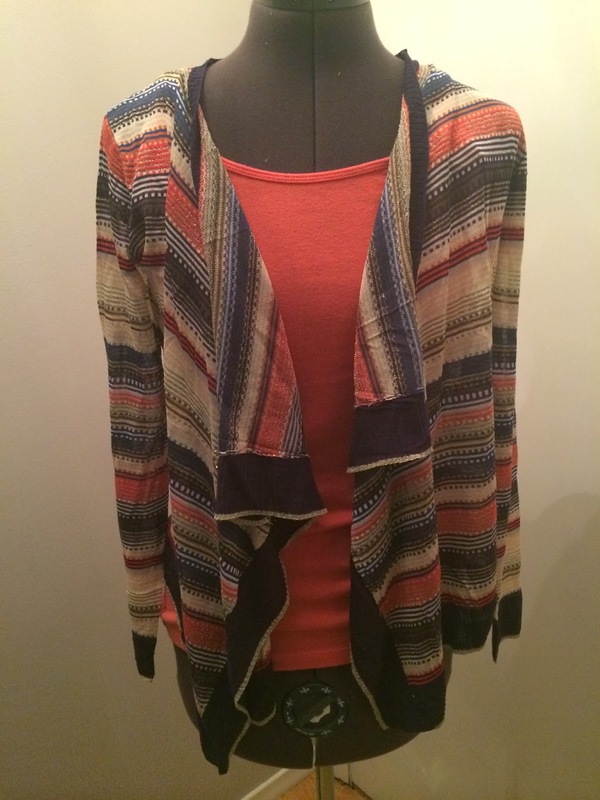 The first item I chose was the Bright & Breezy Wrap Cardigan in navy by Kerisma. 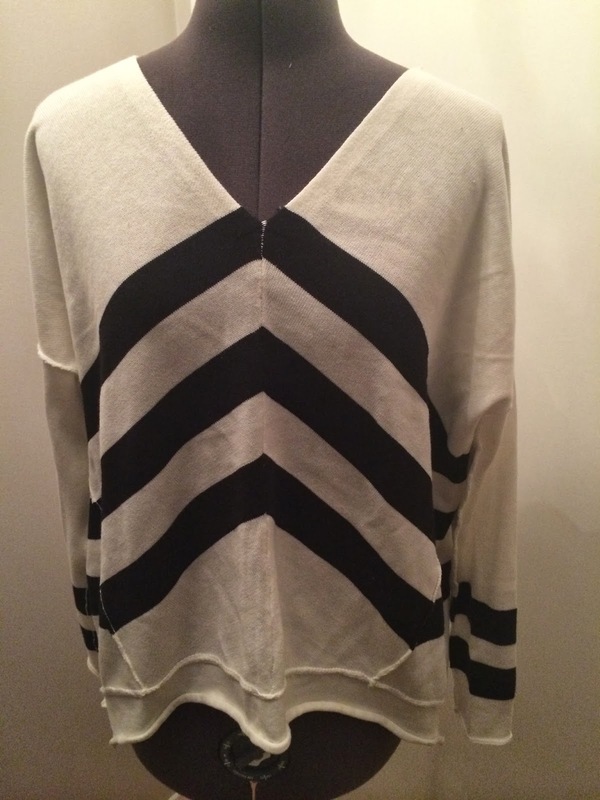 It is a very light weight sweater that will be perfect for spring/summer. It fits very nice and drapes well. It does have some gold thread weaved through it, which takes me a bit out of my comfort zone. But the fit is so perfect that I can't wait to wear it! Golden Tote also includes style cards for the items you chose. 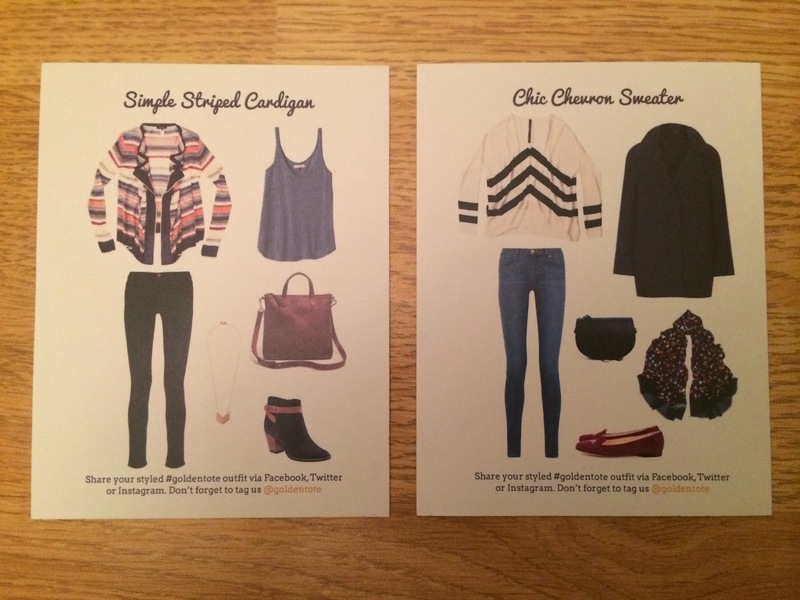 I love these ideas and would have really liked to style the chevron sweater exactly as it showed had the sweater fit me correctly. The surprise item I was hoping would be in my tote was the navy swing dress by Priddy by Puella. And it was!!!! Yeah. When I saw it I knew the tote was worth it. 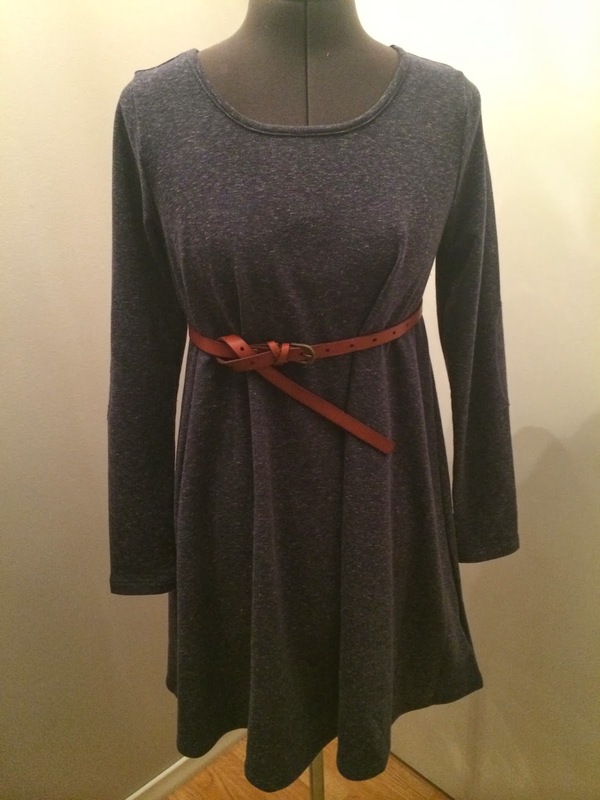 It fits me perfectly and can be worn with or without a belt. And it has the cutest elbow pads. Love this!!! 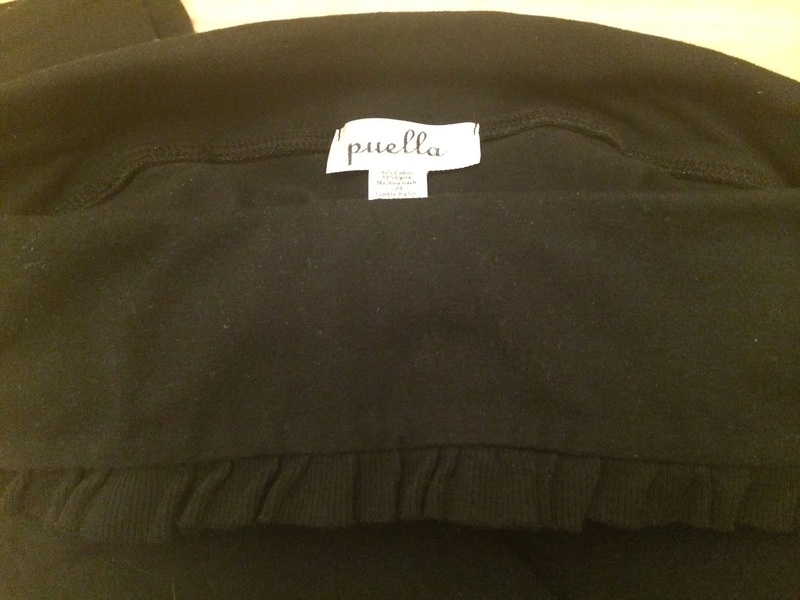 I also received Puella black leggings. I was so happy these were in my tote. They fit amazing. 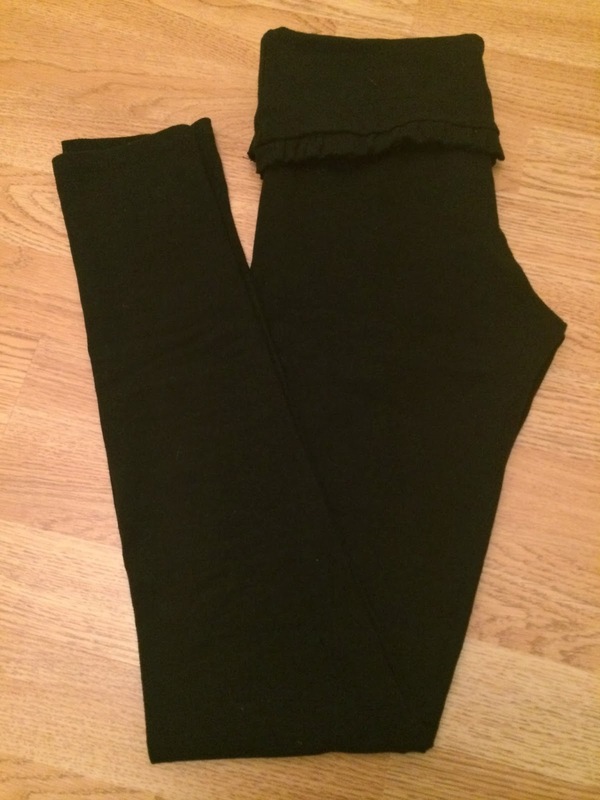 When I saw them I thought they were going to be short on me, like cropped leggings, but they were long. Yay! They also have a really cute ruffle detail at the waist. These are perfect for me! 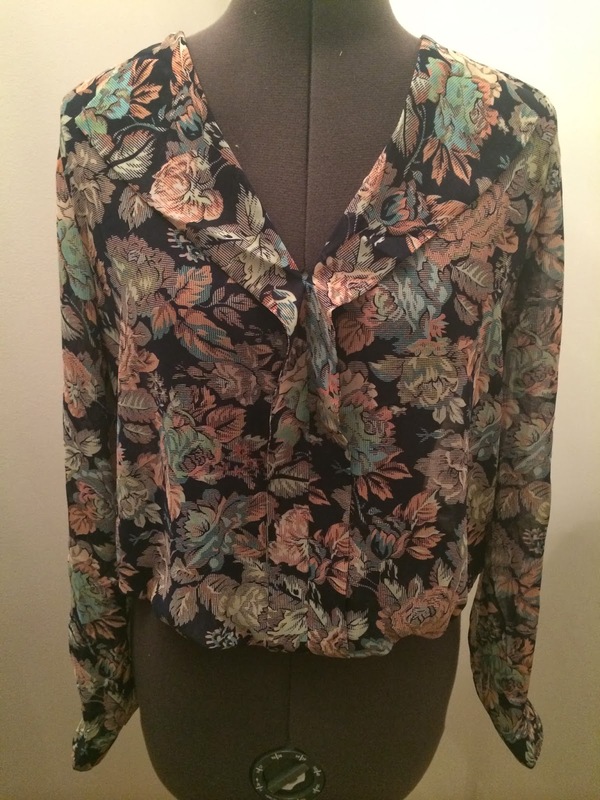 The next item I received was a floral blouse by In Clover. This fits great, but I'm not crazy about the print. I think I need to style this to see if I can make it work. 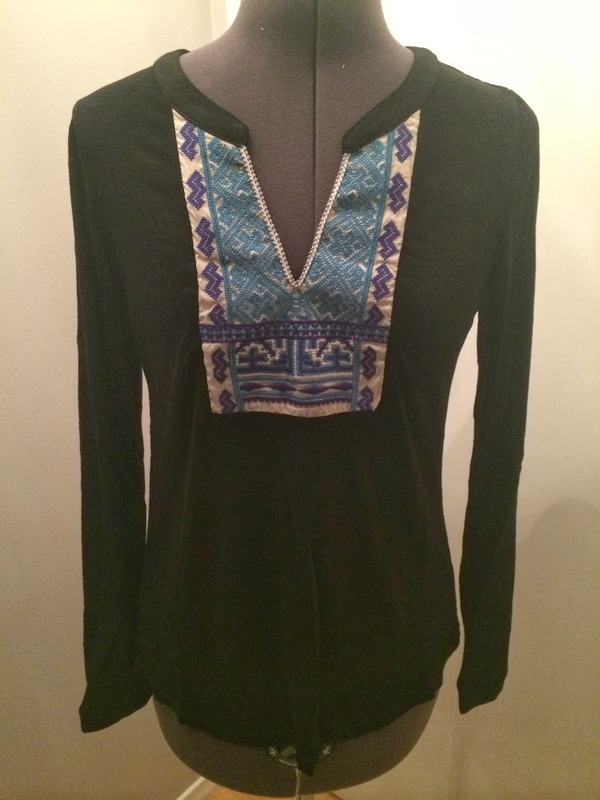 The final item in my tote was a black shirt by Under Skies with embroidery detail. This fits me really well, but is not my style. 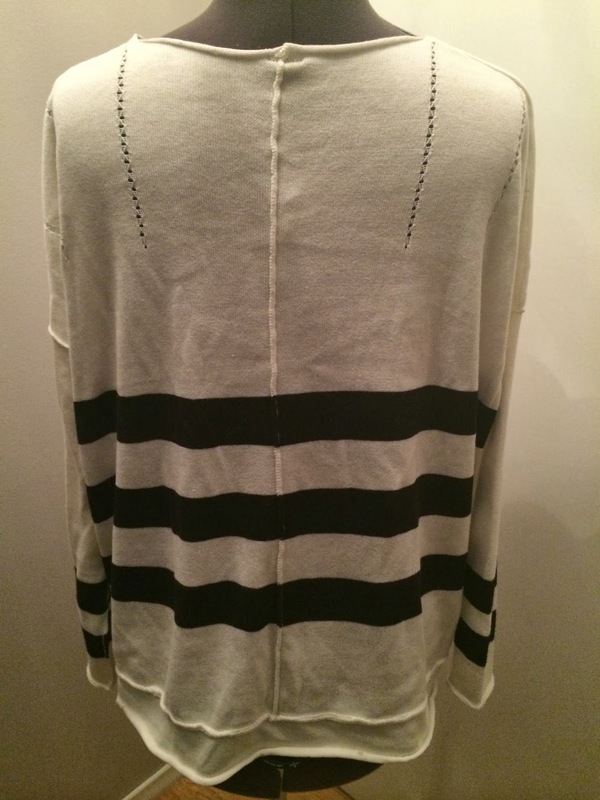 It's great for lounging around and casual days out and about. I'm not too sure about this one though. It is different than anything I own and is taking me out of my comfort zone a bit and I'm going to really try to make this one work on me (because it's super comfy). I was happy with my tote this month. I only received one item that doesn't work for me and it was an item I picked for myself, so no fault of Golden Tote on that one. A few of the other items are taking me out of my comfort zone, but I think I need that sometimes! 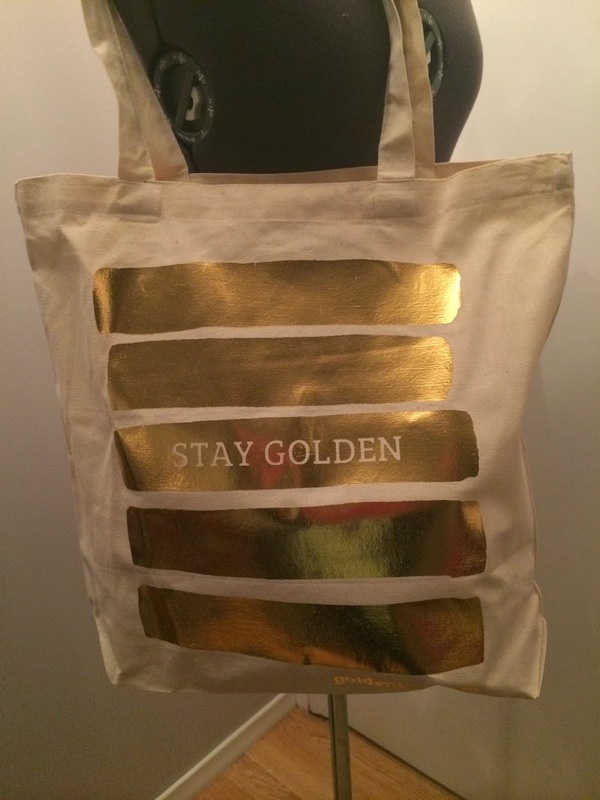 What did you get in your Golden Tote? 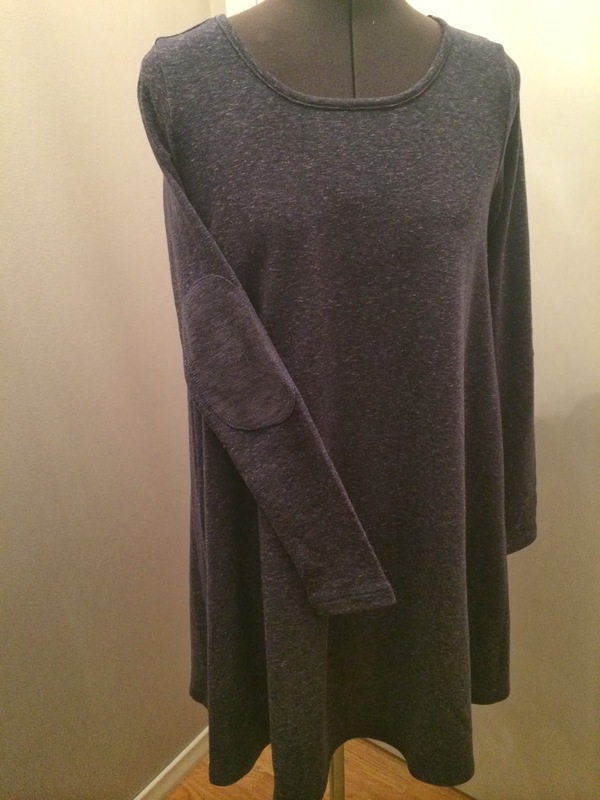 The navy dress with the elbow pads is adorables! And I think the flower print shirt is growing on me. It could be styled very nicely - particularly since dark florals are 'in.' What a great tote!